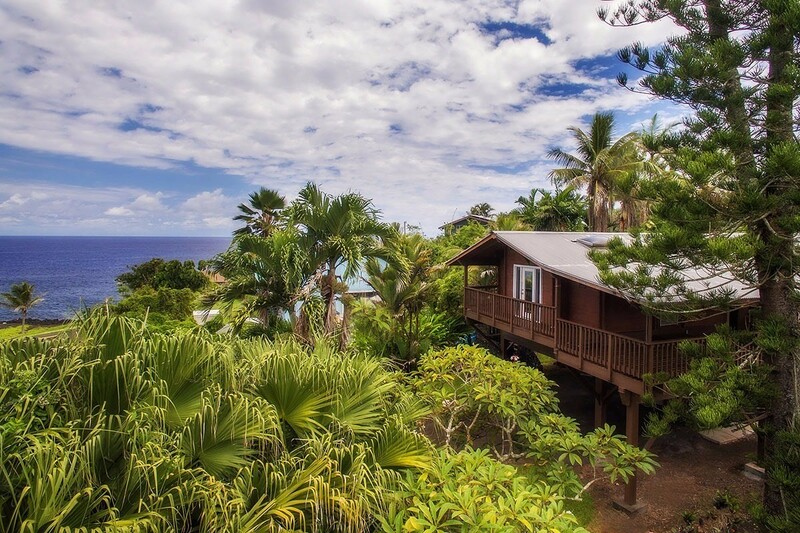 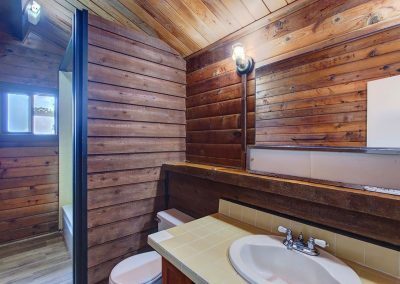 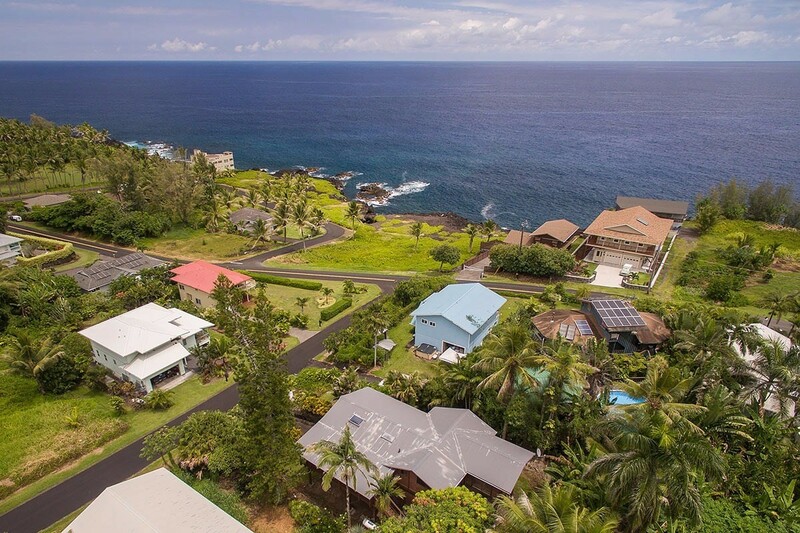 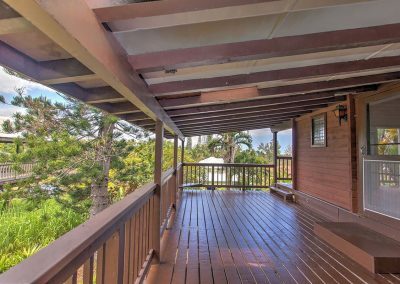 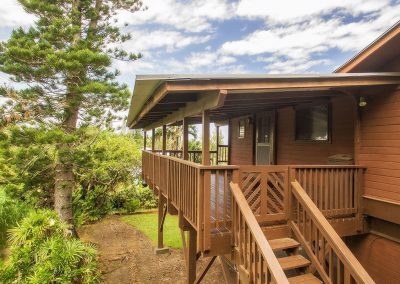 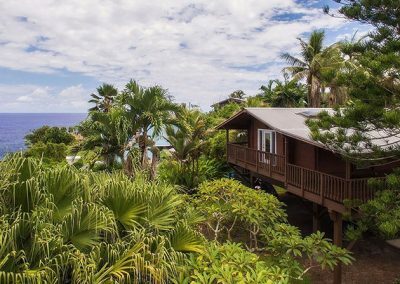 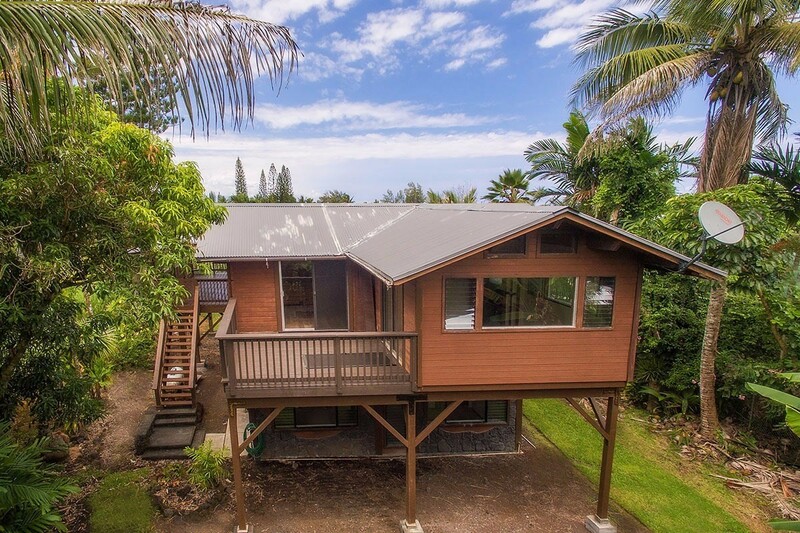 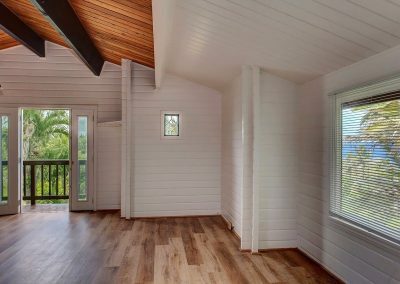 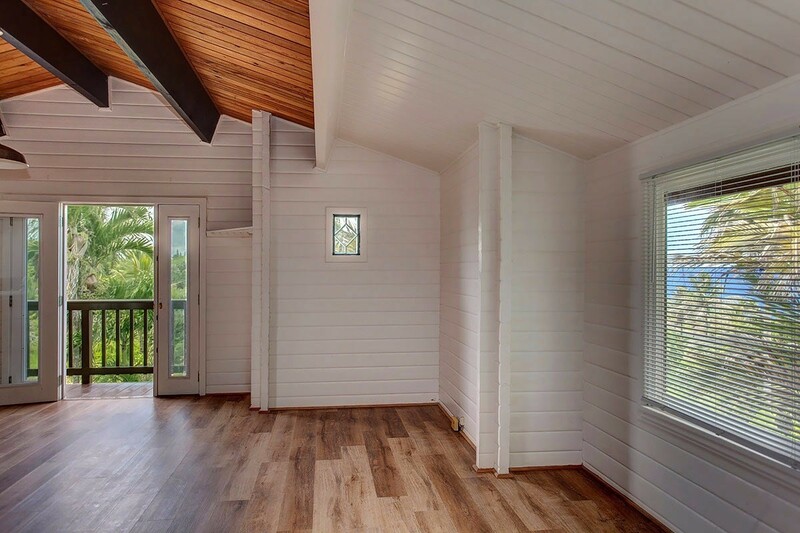 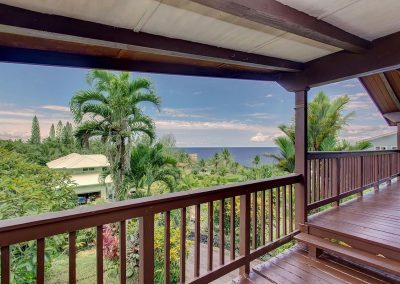 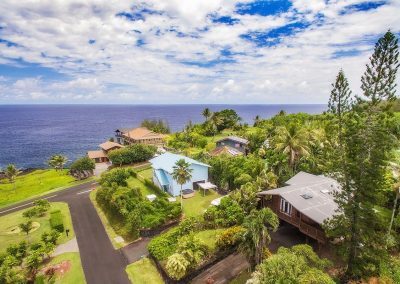 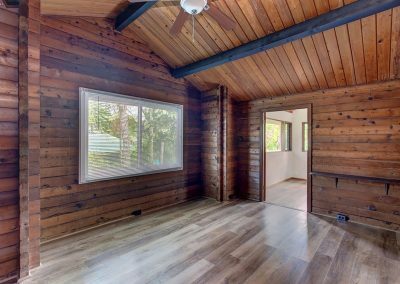 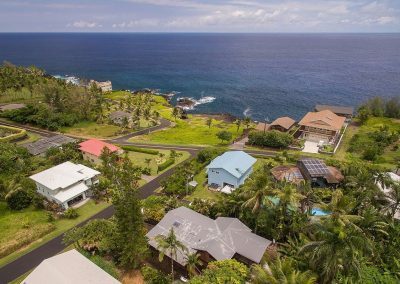 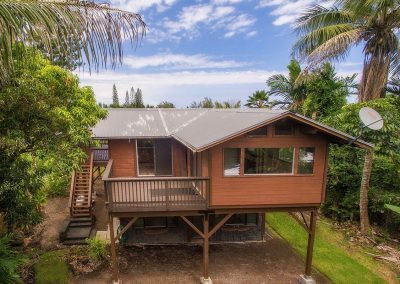 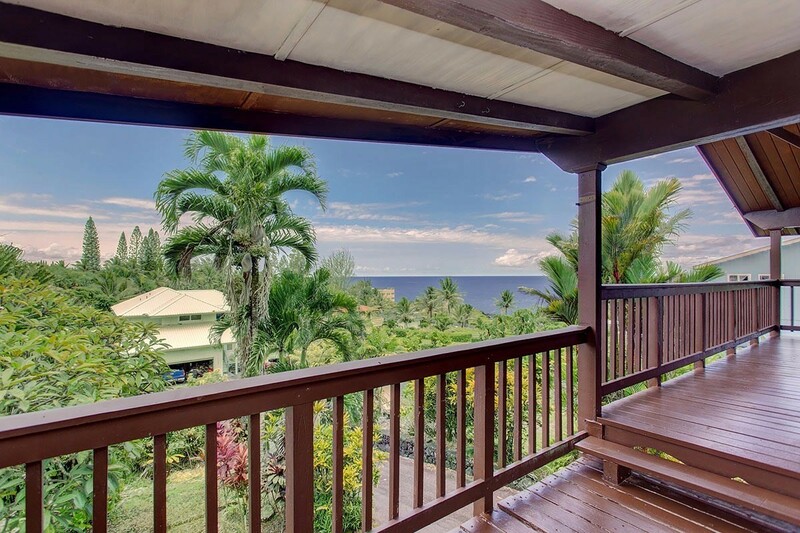 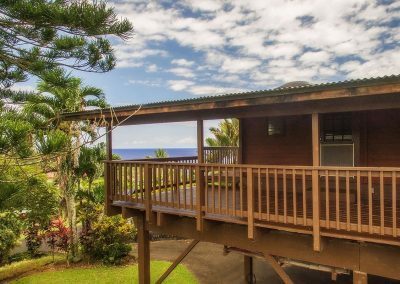 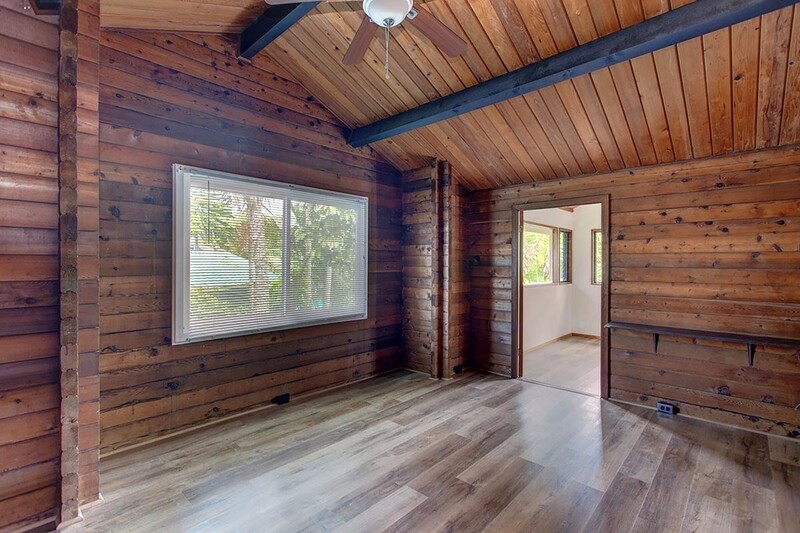 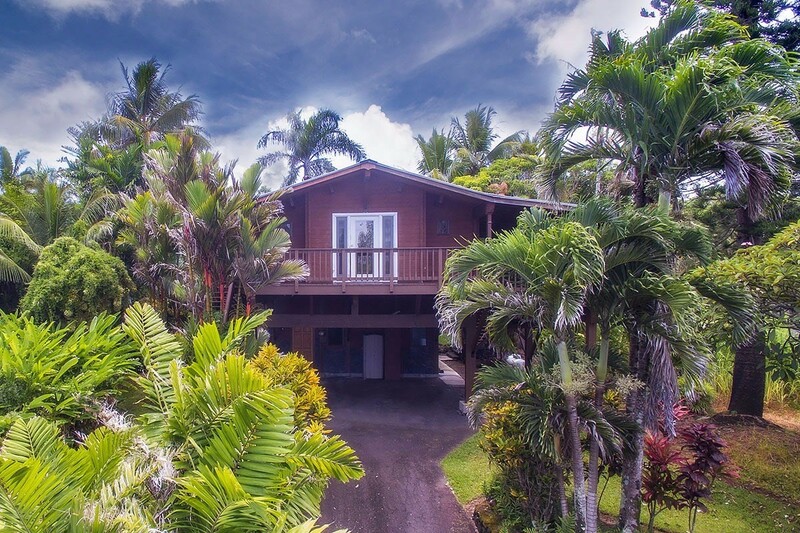 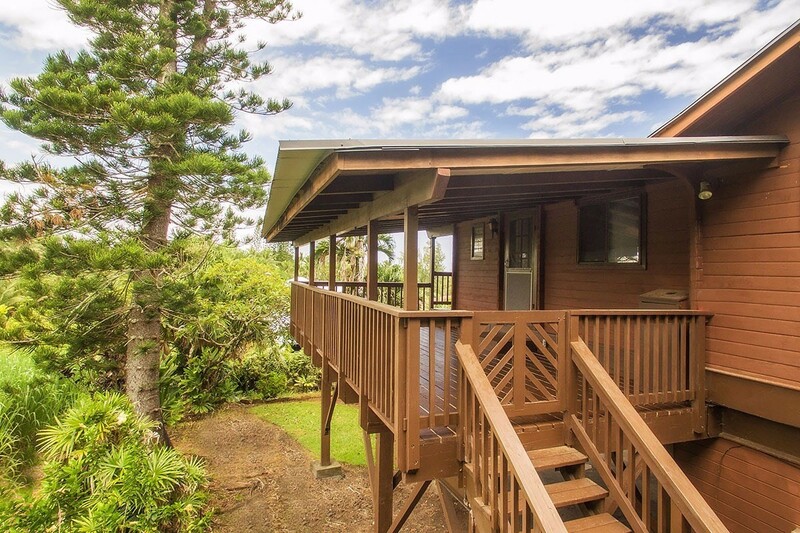 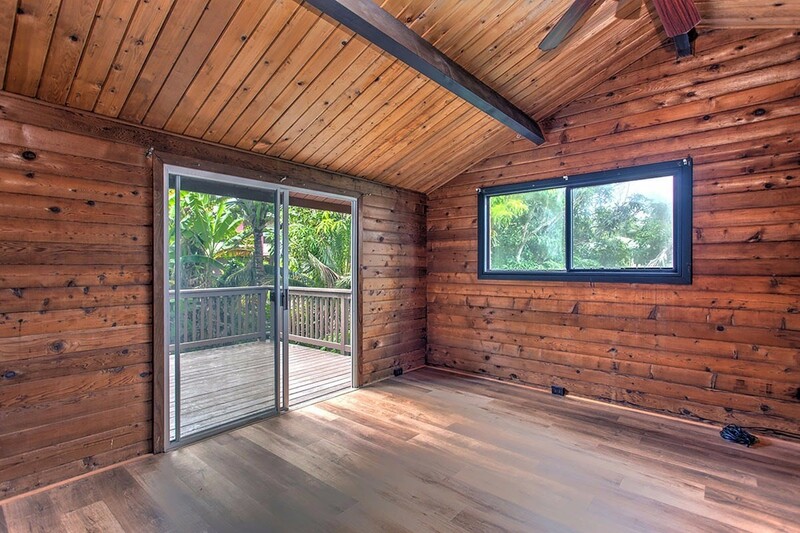 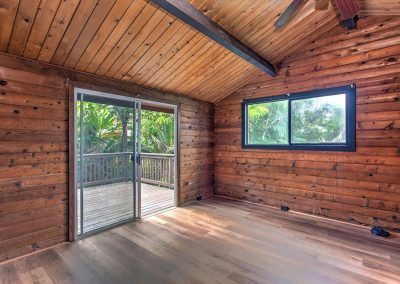 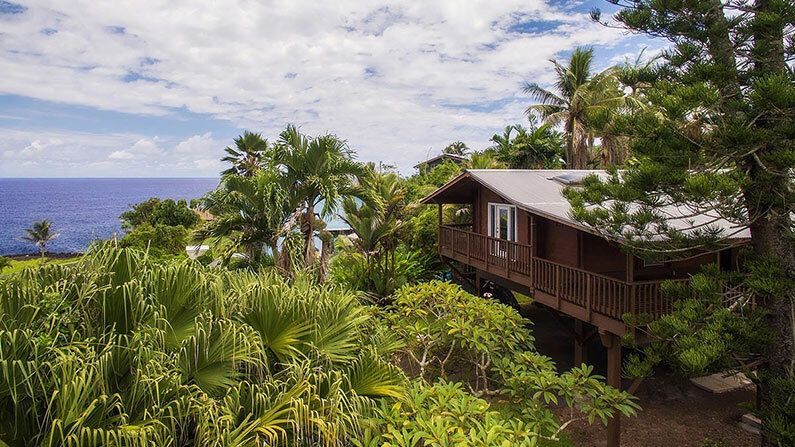 Wonderful OCEAN VIEWS from this exceptional solid cedar home with large lanais to enjoy the great weather and outdoor living East Hawaii is known for. 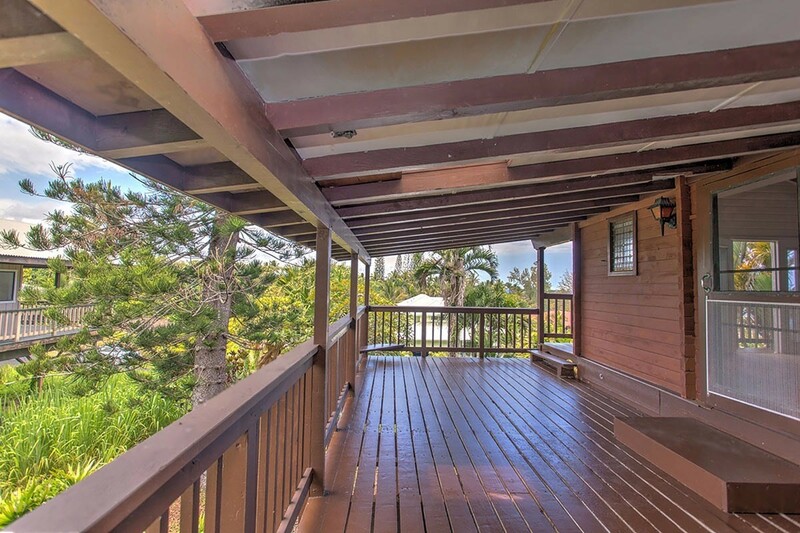 This home, which is less than a minute’s walk to the shore line, was built on a knoll allowing for the unobstructed views of the blue Pacific Ocean. 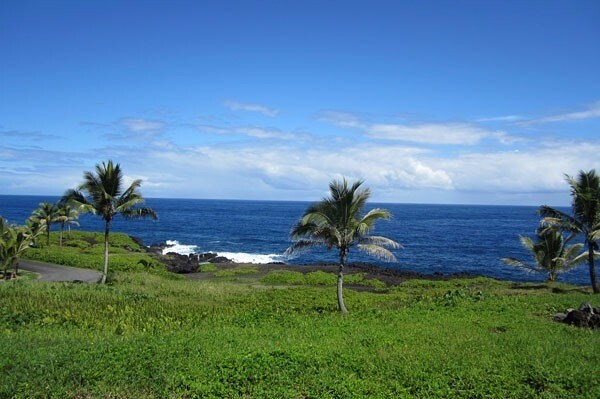 Here you can see the seasonal whale migration, occasional dolphin pod and daily turtle sightings! 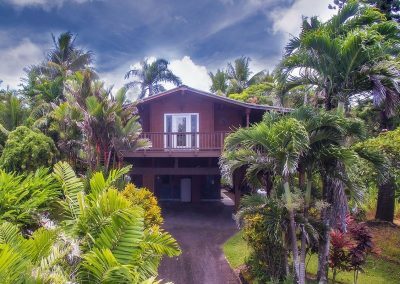 The main home on the upper floor has a large front lanai with amazing ocean views and is big enough for serious outdoor living. The front door entrance opens to the living, kitchen and dining areas which are all connected to this front covered lanai making it a great space for entertaining. 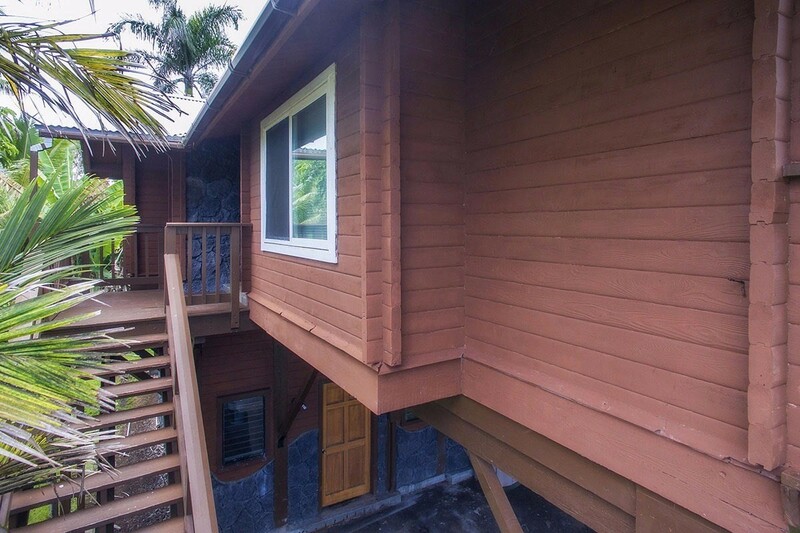 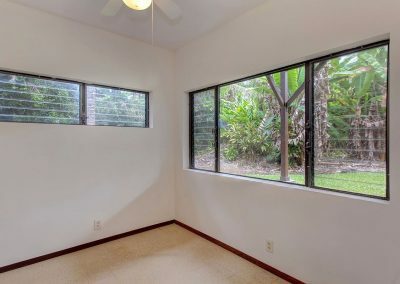 Towards the back of the home are two bedrooms, a full bathroom, office and the private back lanai. 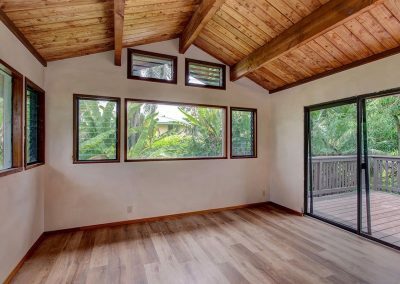 Vaulted ceiling, solid cedar log walls, and stained glass are a few the wonderful details this house has. 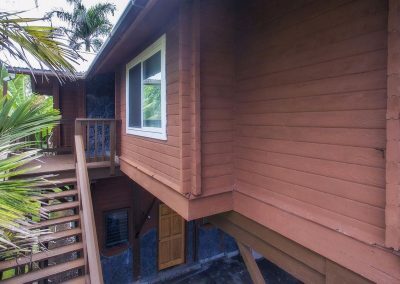 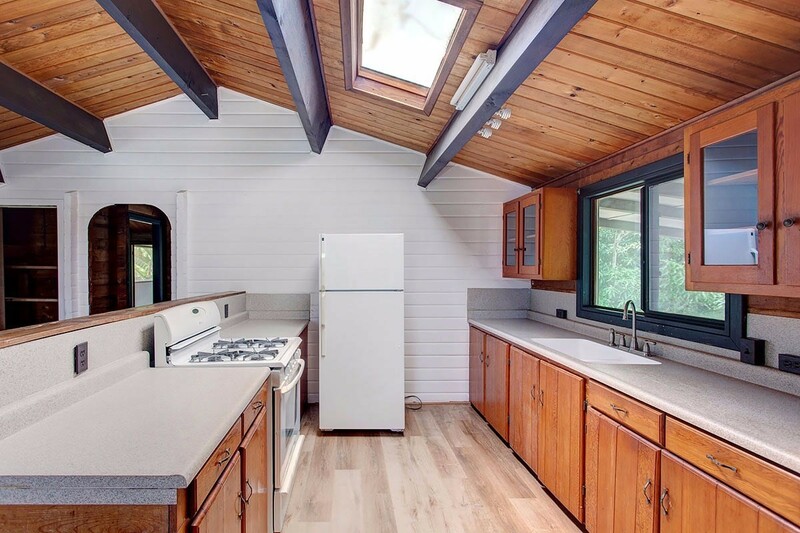 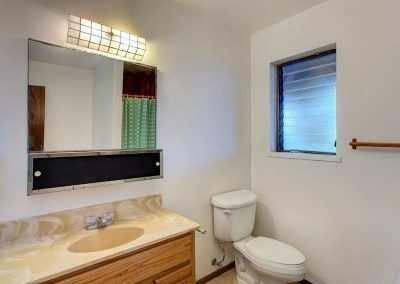 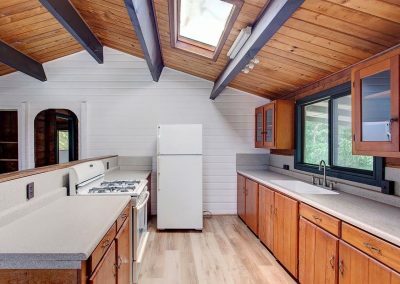 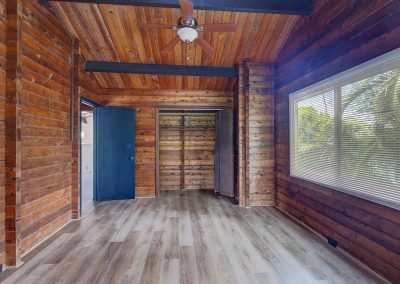 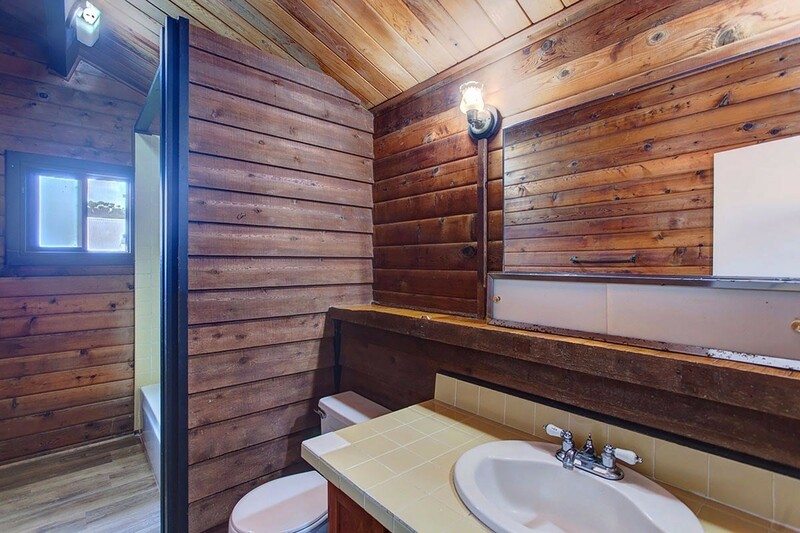 The lower level studio, with its separate entrance, has a cozy kitchen, living room, an easily closed off area for a bedroom plus a bathroom with shower. 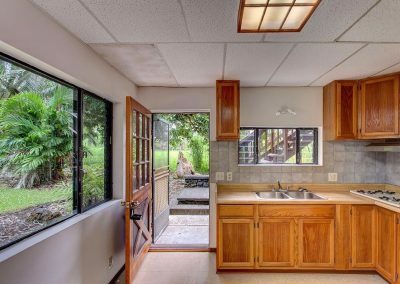 There is also a separate storage room and utility room for the washer and dryer. 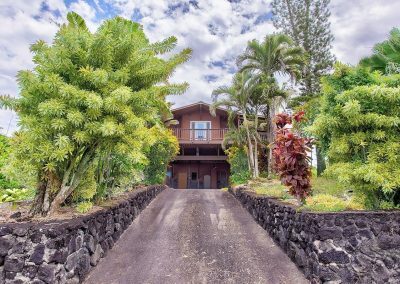 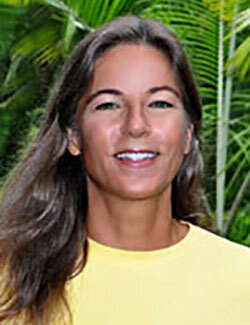 Property has lava rock retaining walls at front entrance, wonderful mature tropical landscaping and covered parking. 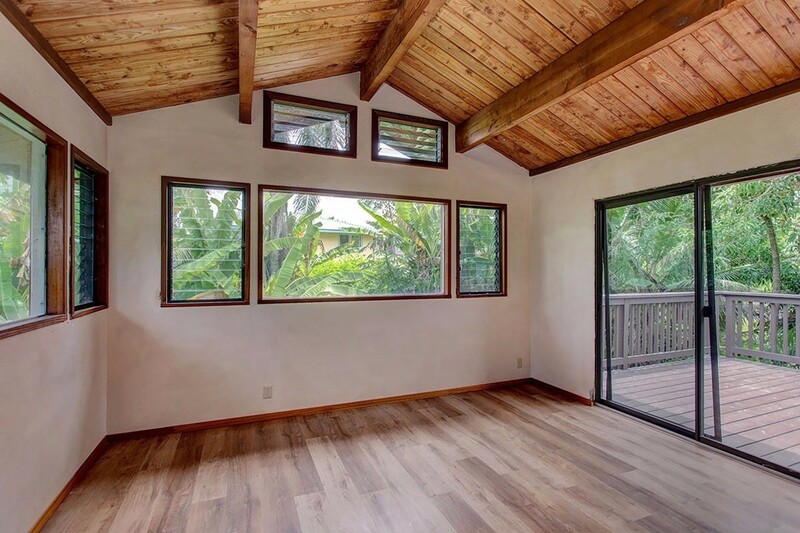 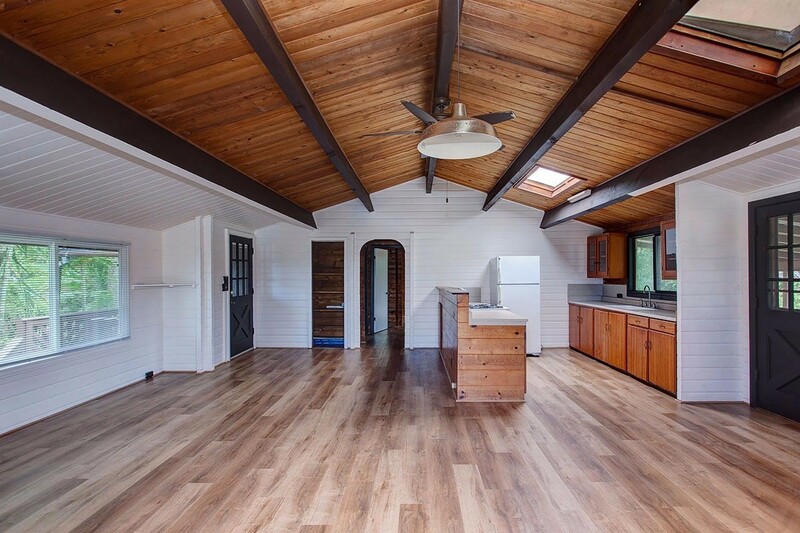 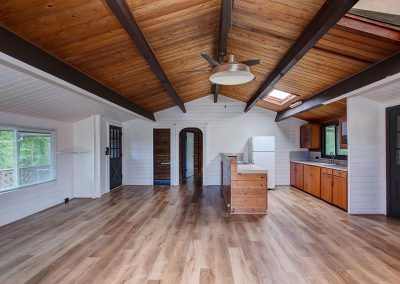 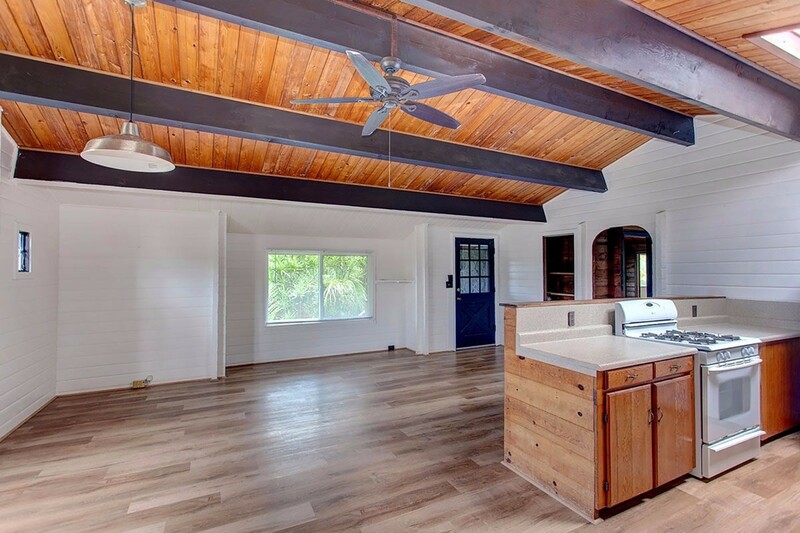 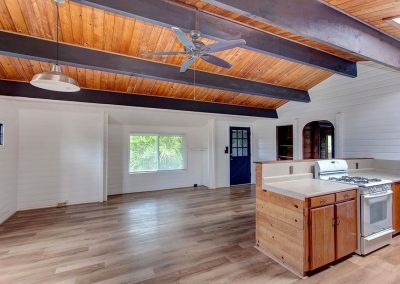 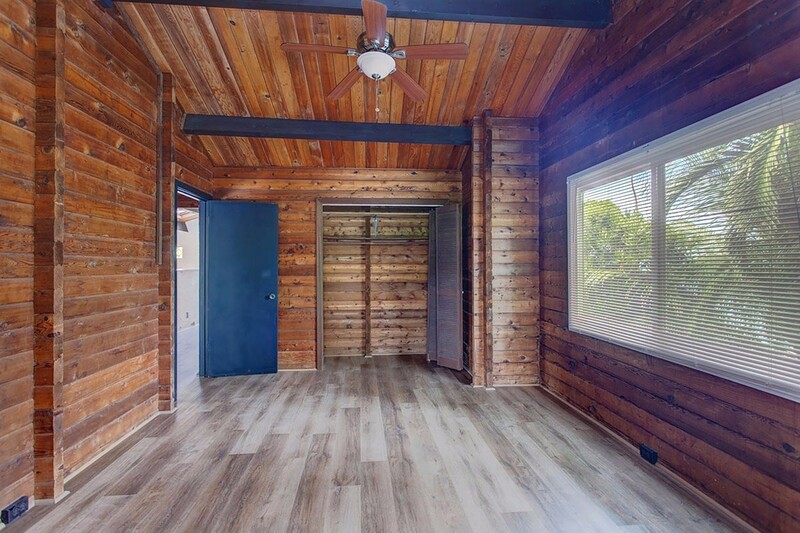 In August, 2017 new flooring was installed upstairs, the studio and areas of the main home were painted, back lanai floor replaced, both lanai repainted and more. 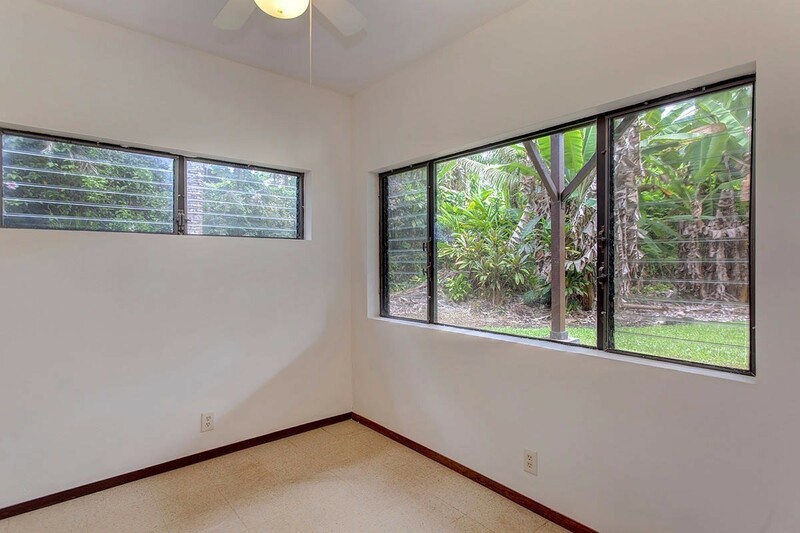 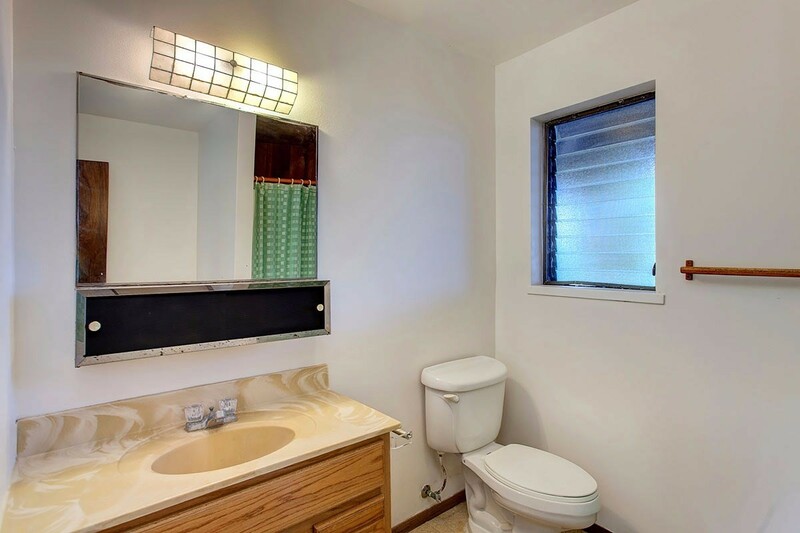 Home located on paved road with underground utilities and high-speed internet. 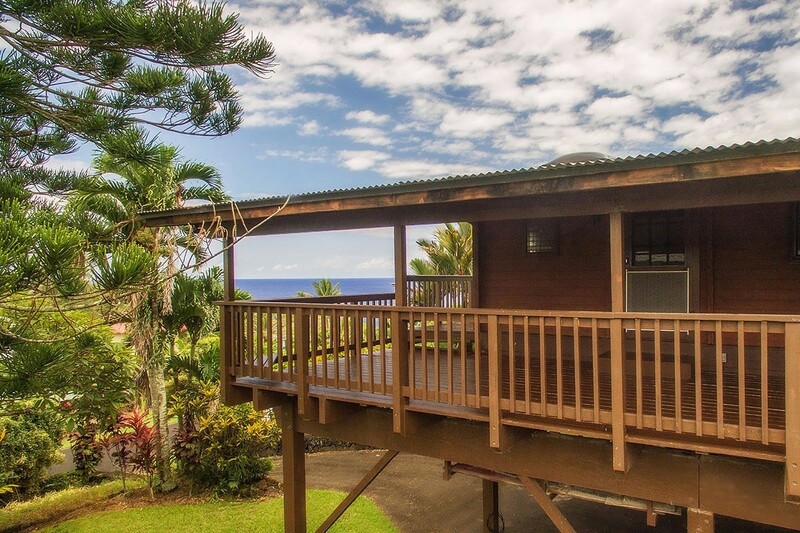 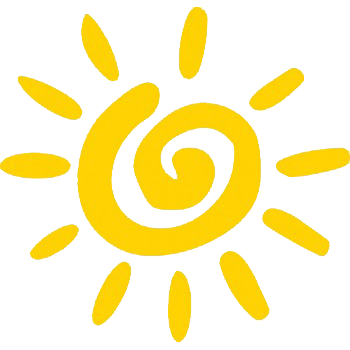 Kahakai community park is a few minutes’ walk away, while Pahoa Town and all its conveniences is a 10-minute drive. 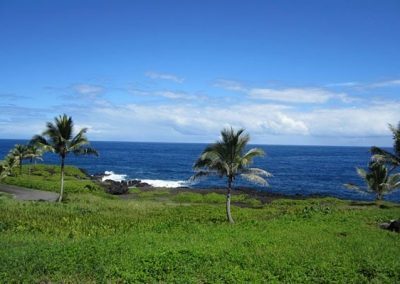 Drive 15 minutes South along one of the most beautiful coastal roads in Hawaii to reach Kapoho and Pohoiki where you can enjoy swimming, surfing, boating, fishing and fabulous natural hot ponds. 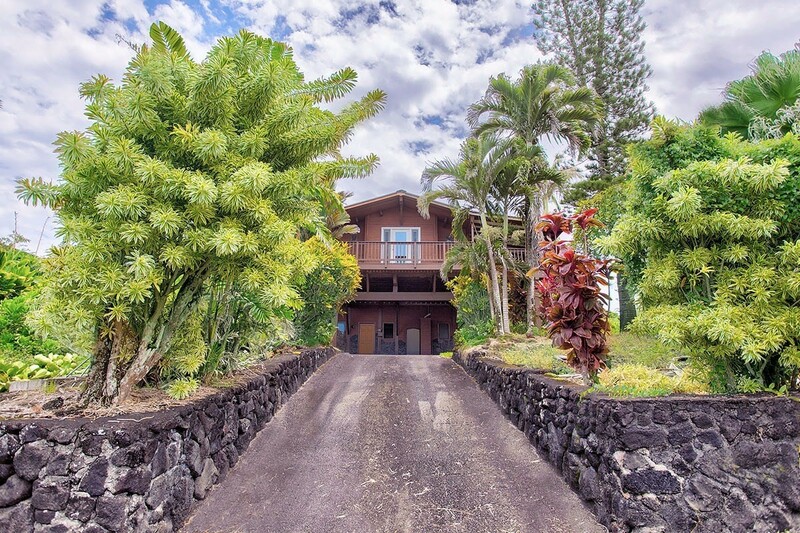 Exceptional home at an exceptional price.